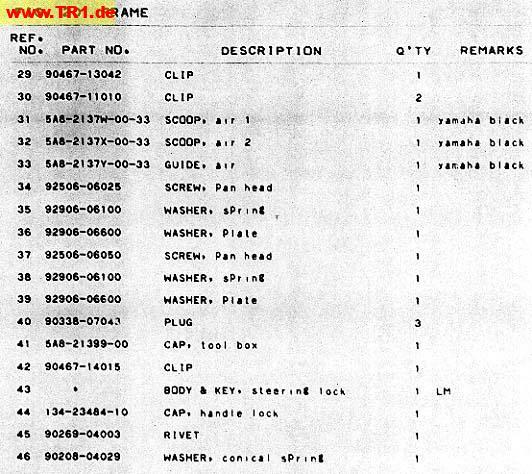 Here you find scans from the original TR1 microfiches. 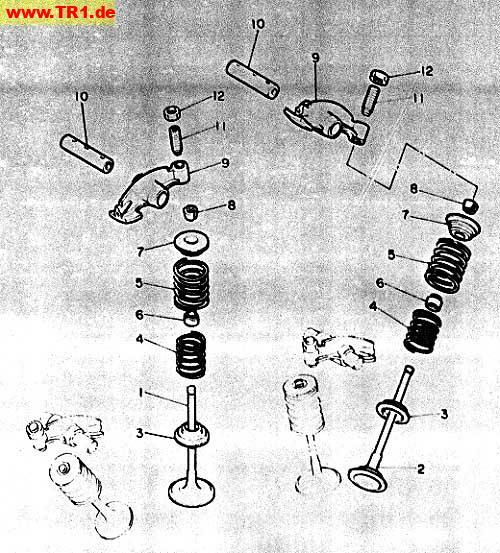 I'm sorry for the poor quality. 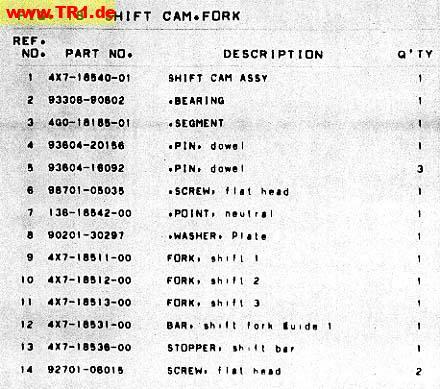 While viewing a picture, you can use the arrow keys to move forward or backward and the ESC key to cancel. 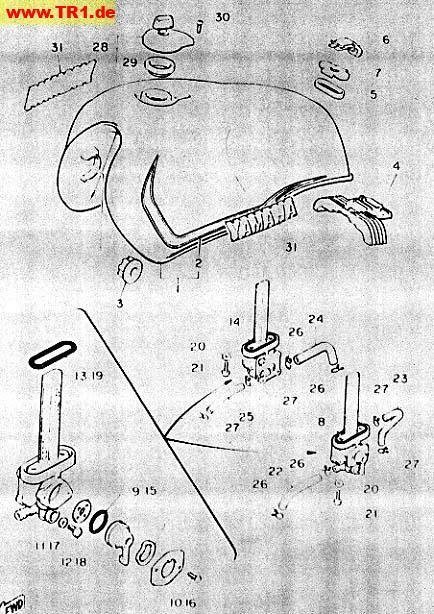 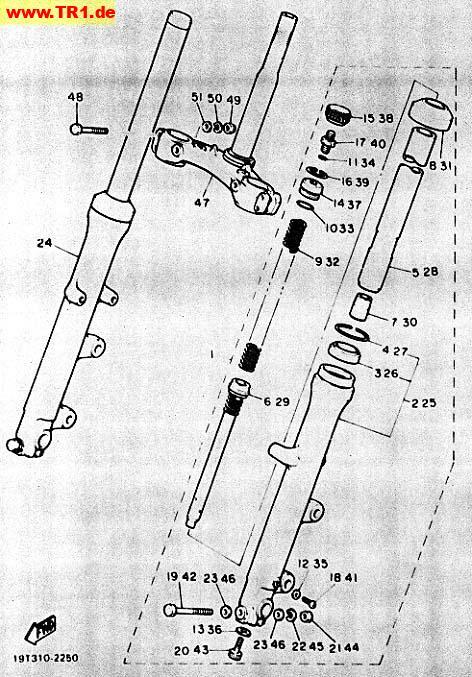 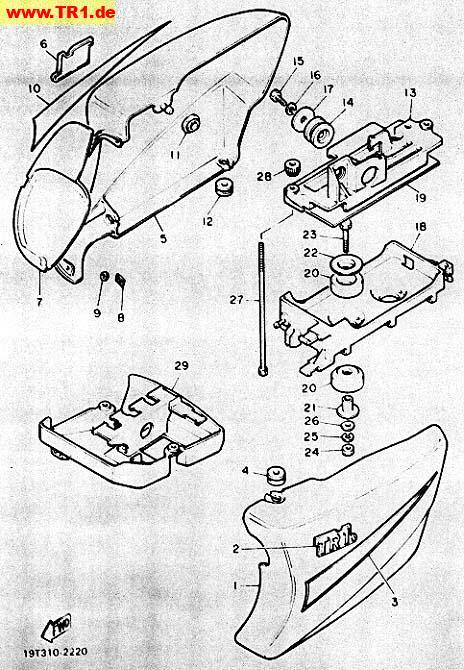 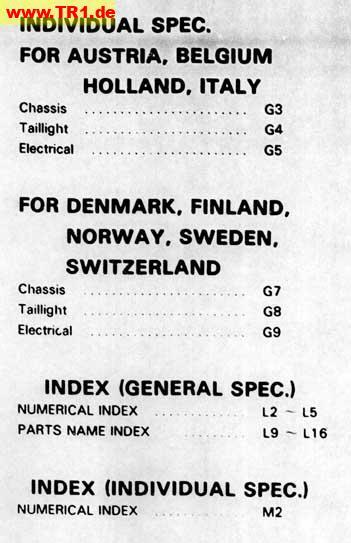 Here is a link to the official Yamaha Part's Catalog. 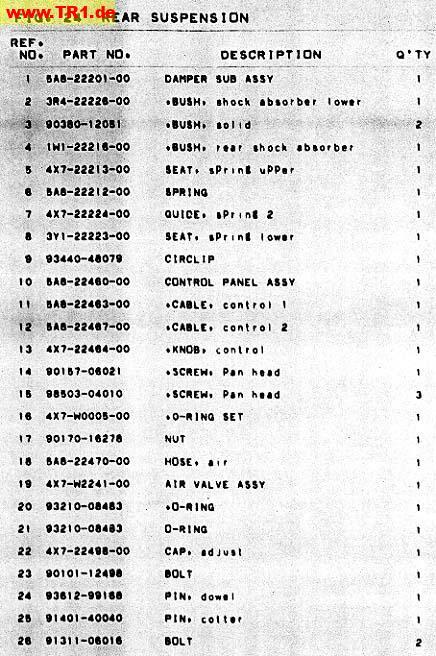 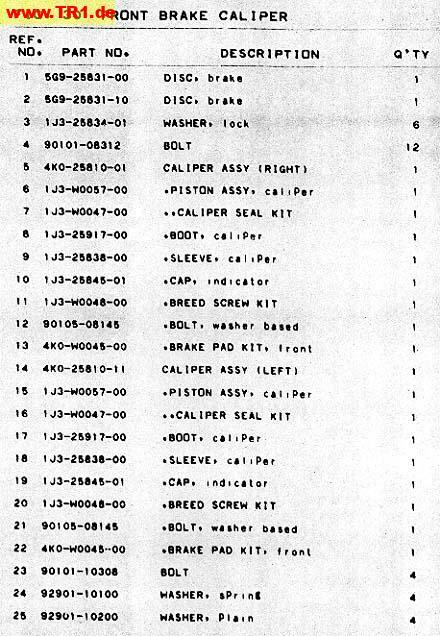 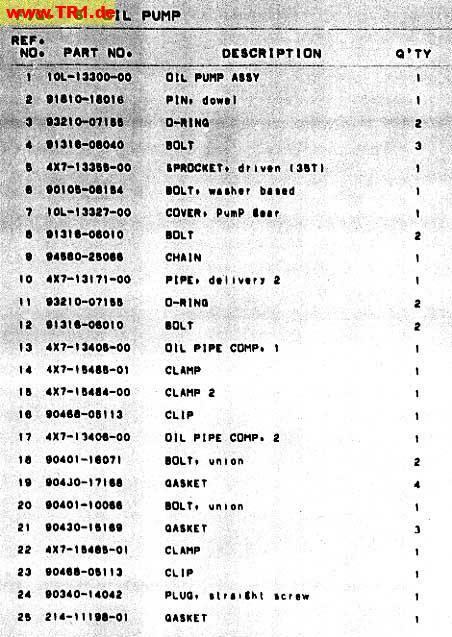 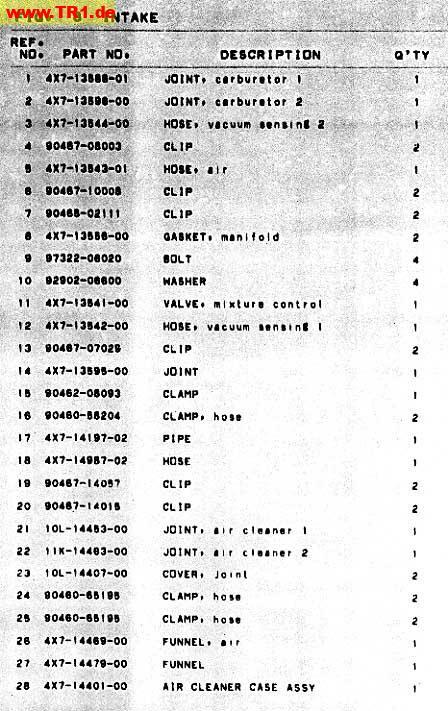 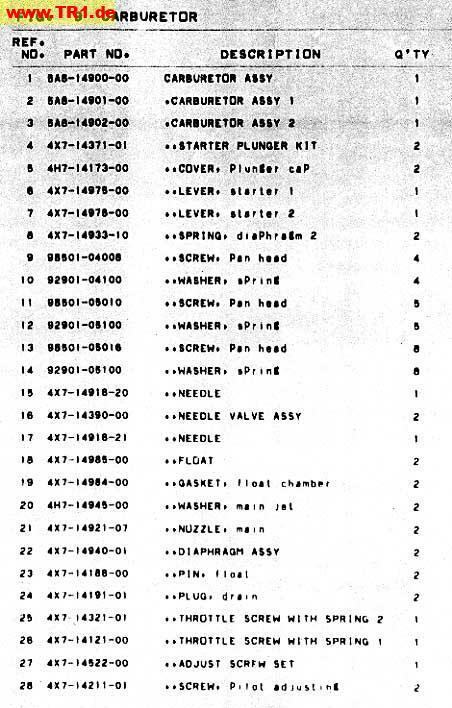 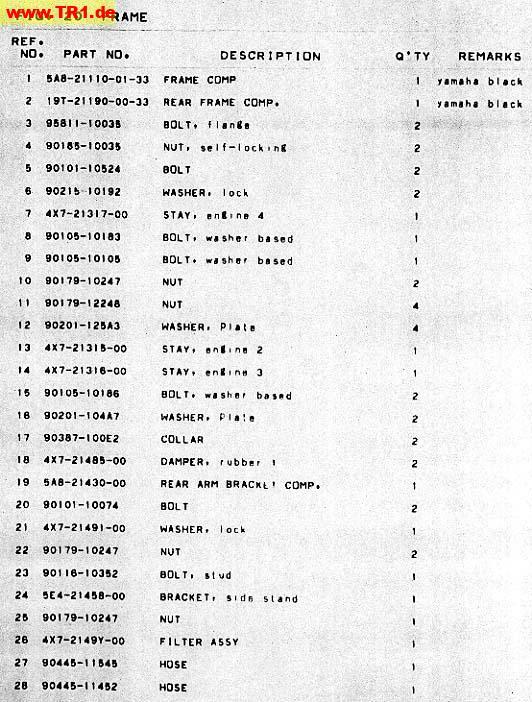 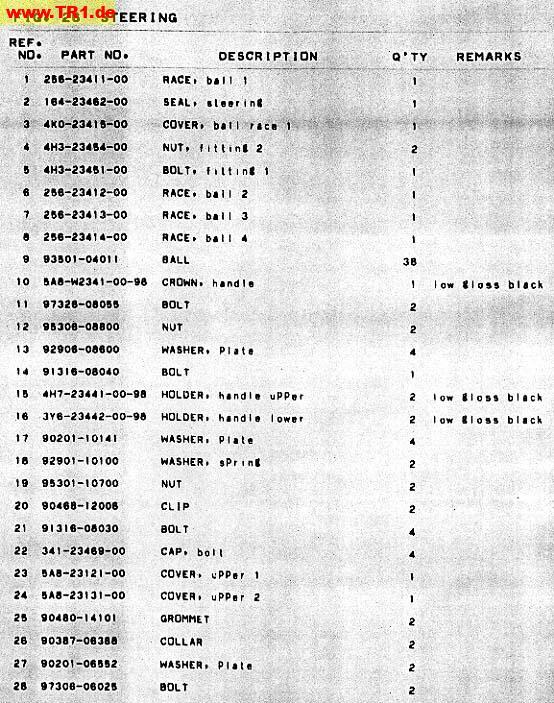 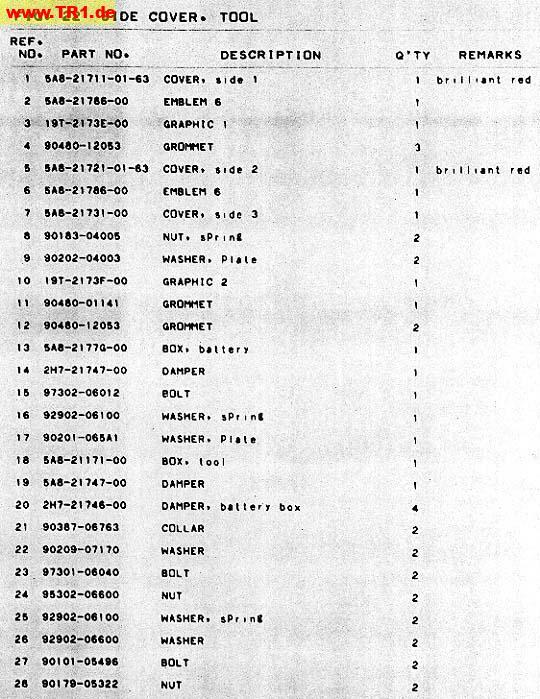 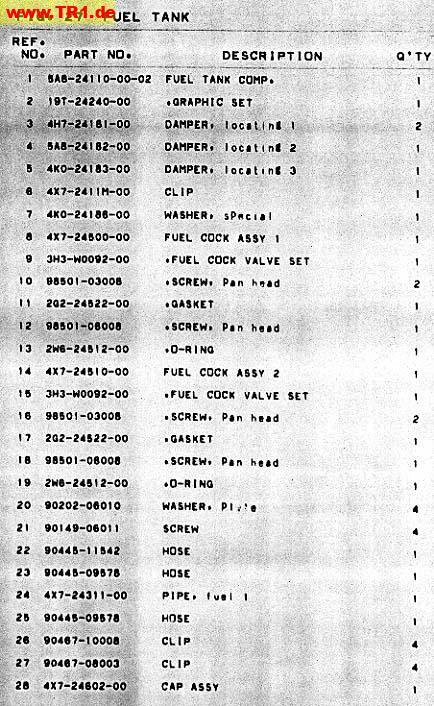 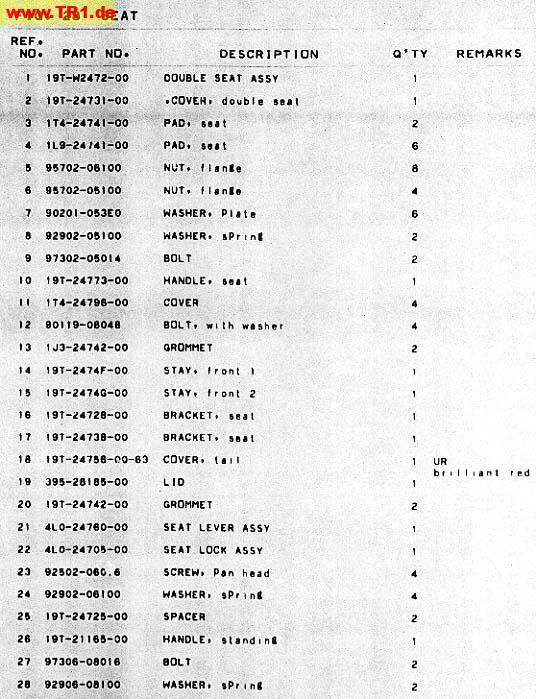 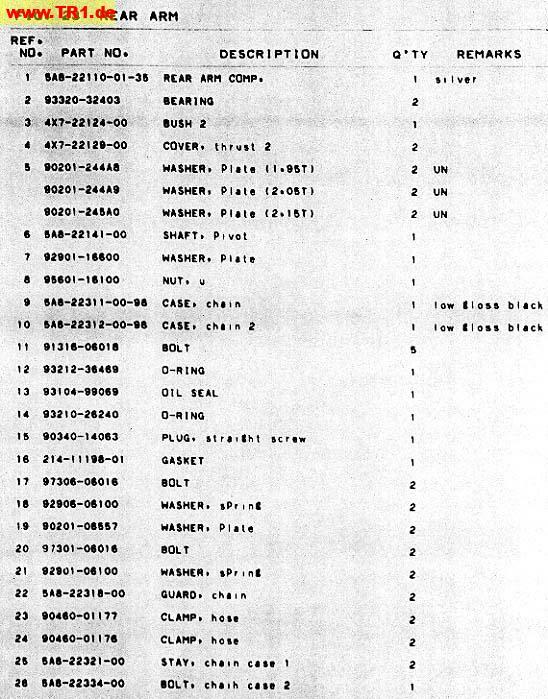 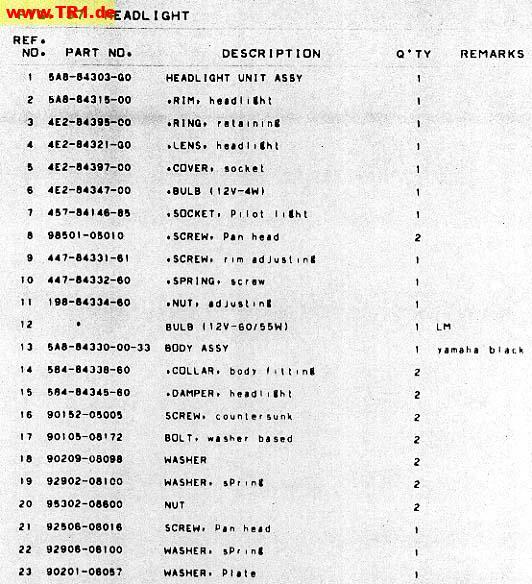 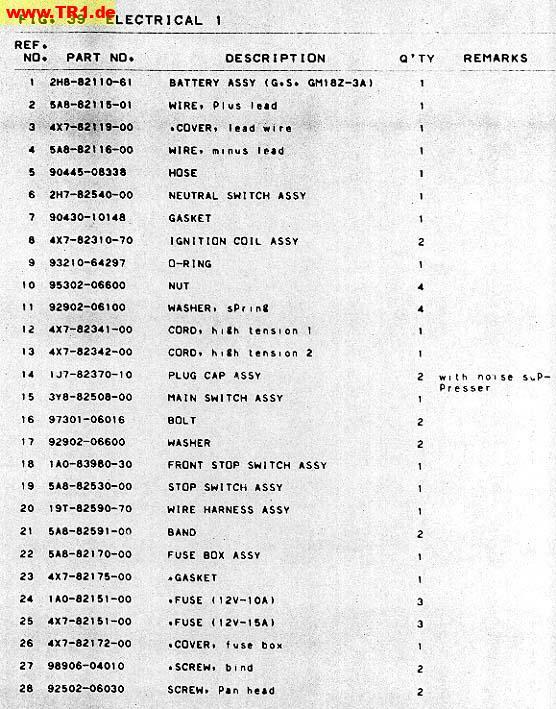 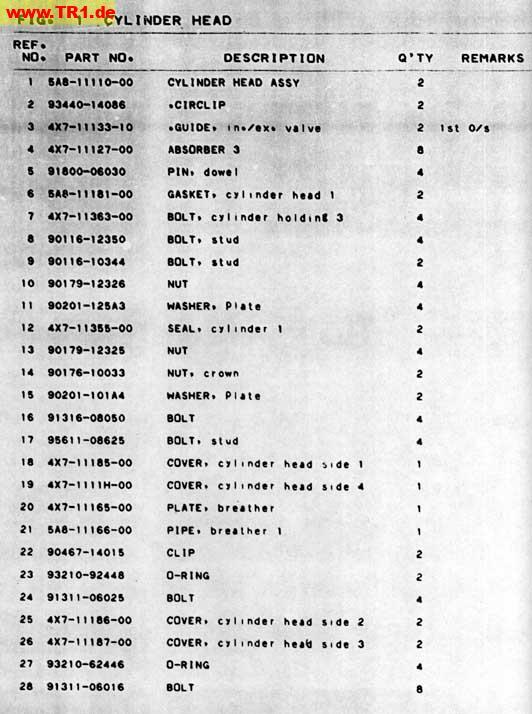 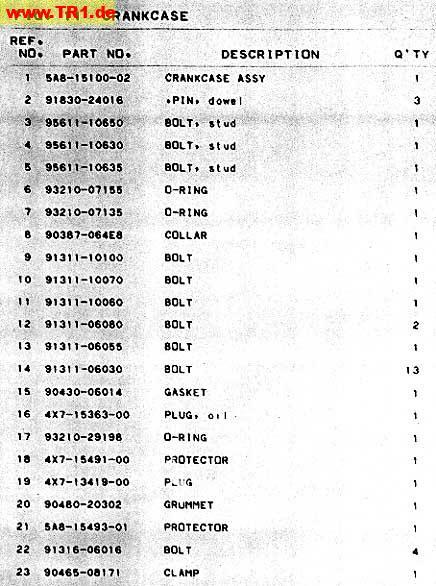 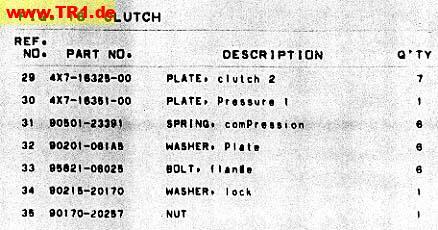 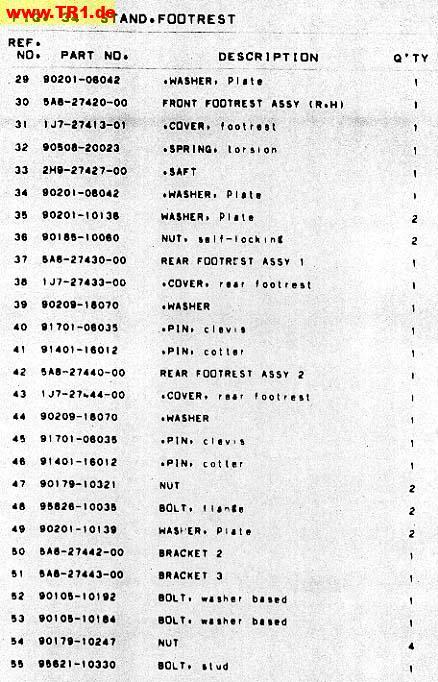 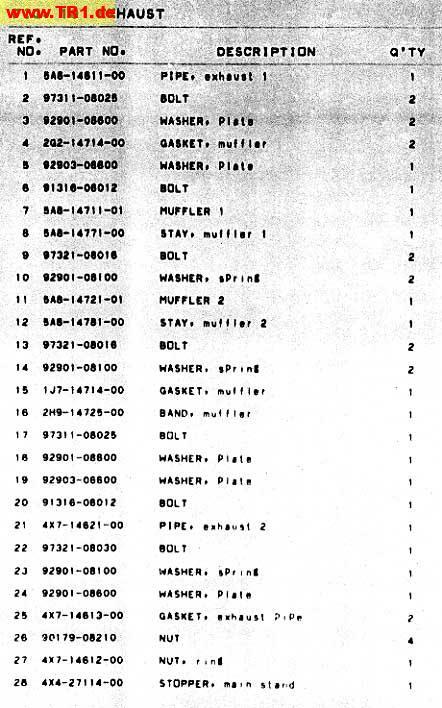 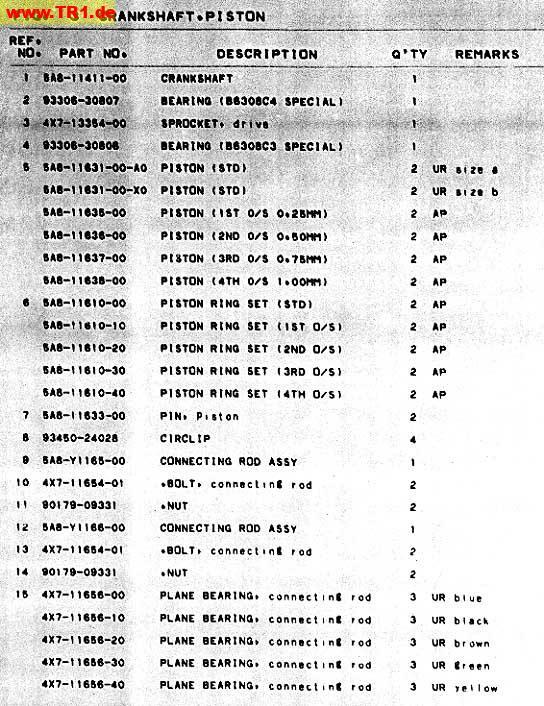 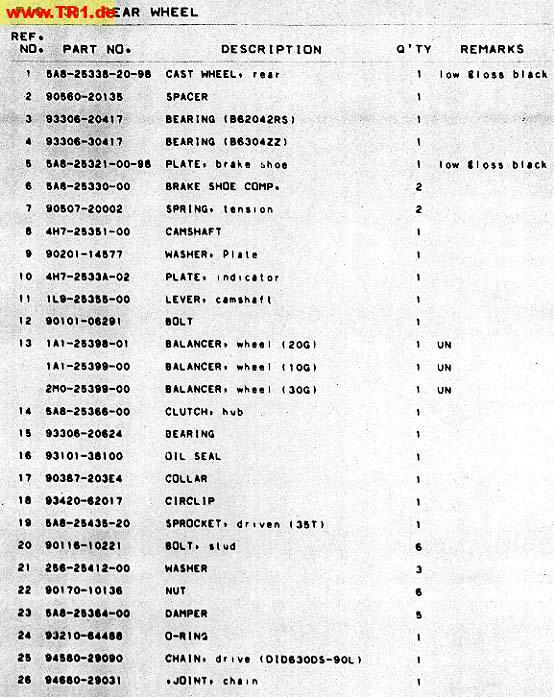 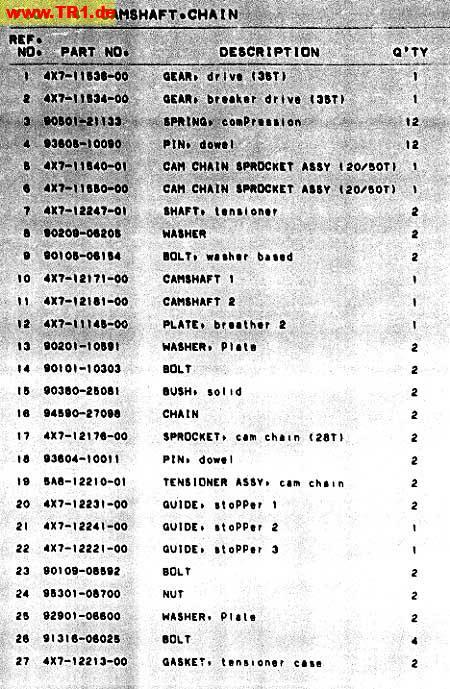 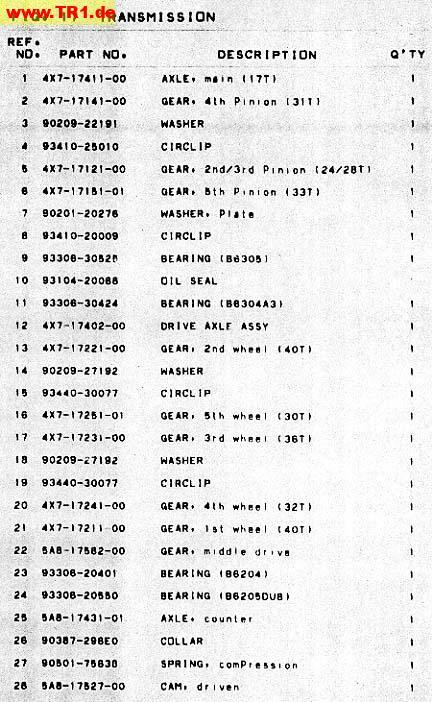 There you'll find also the part's listings and the microfiches in much better quality. 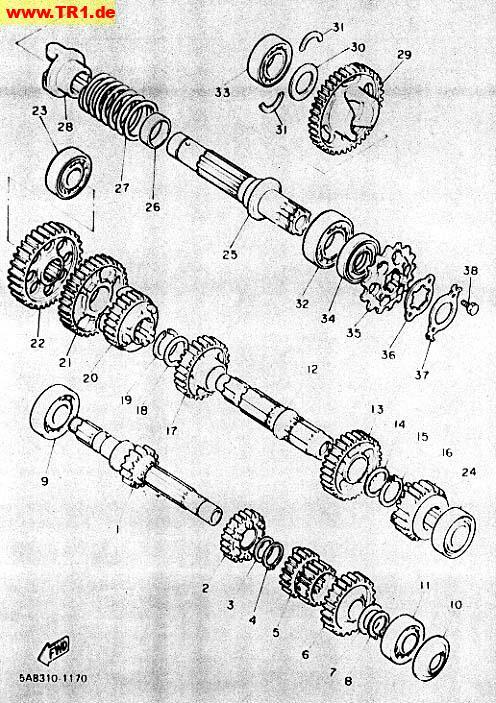 Bur just for all the XV920* models. 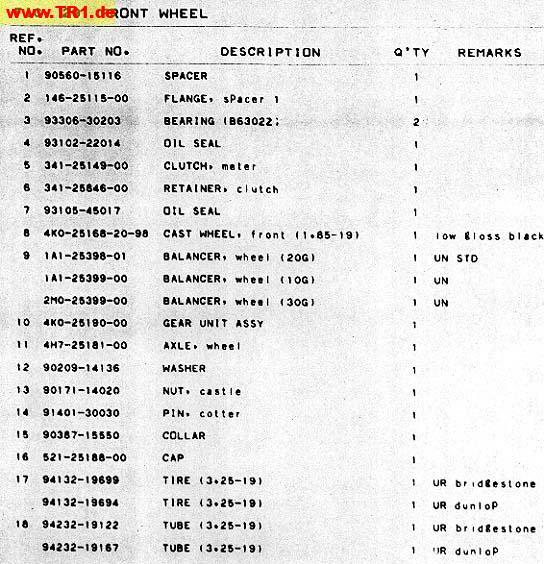 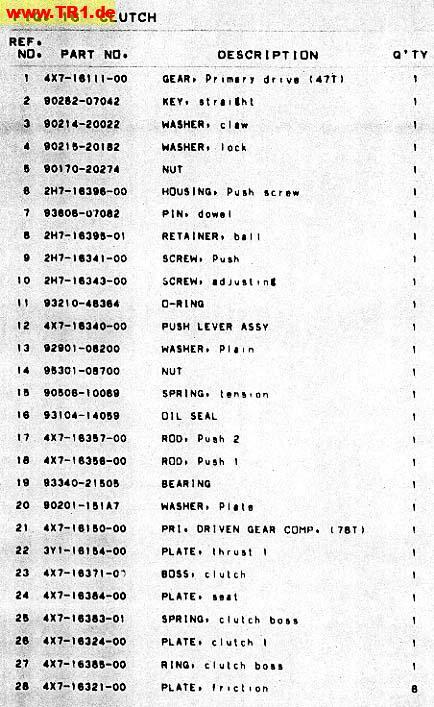 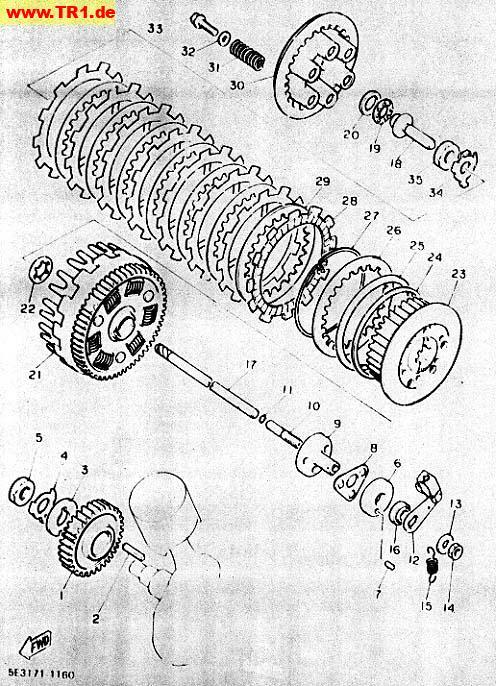 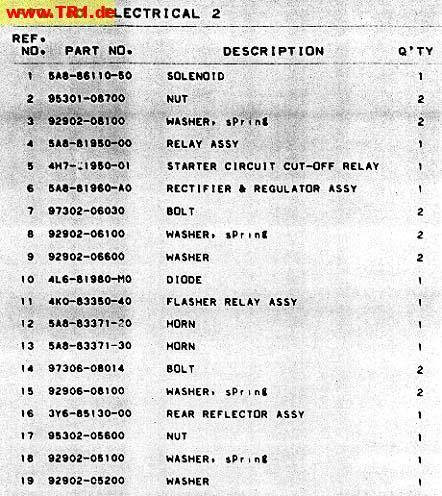 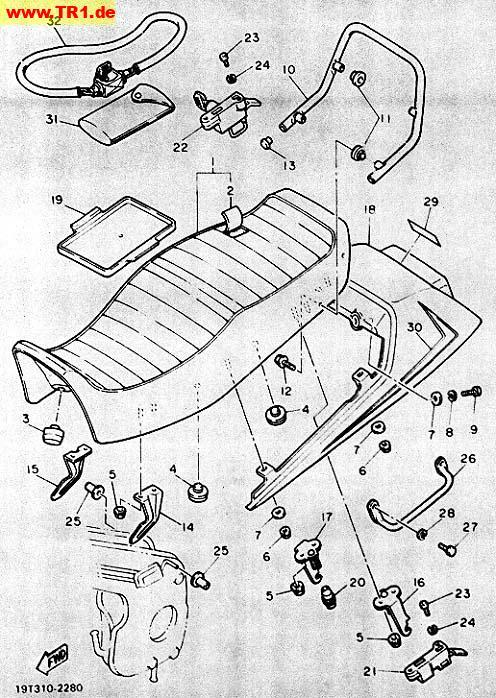 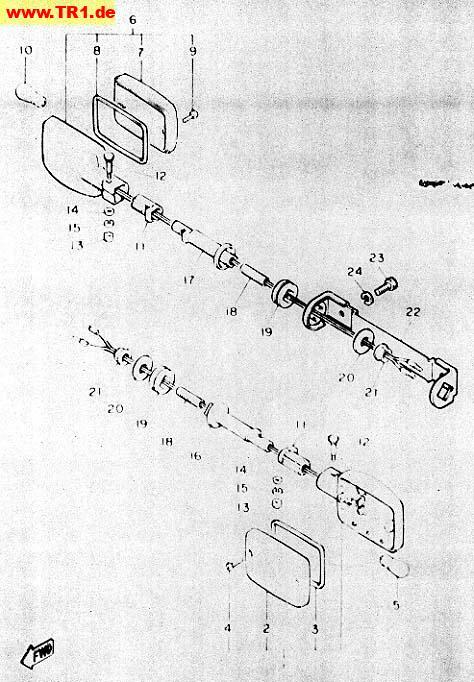 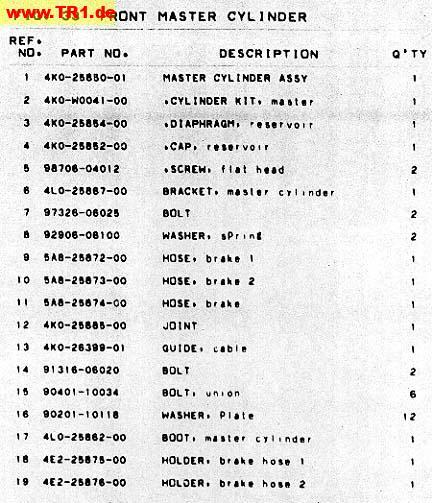 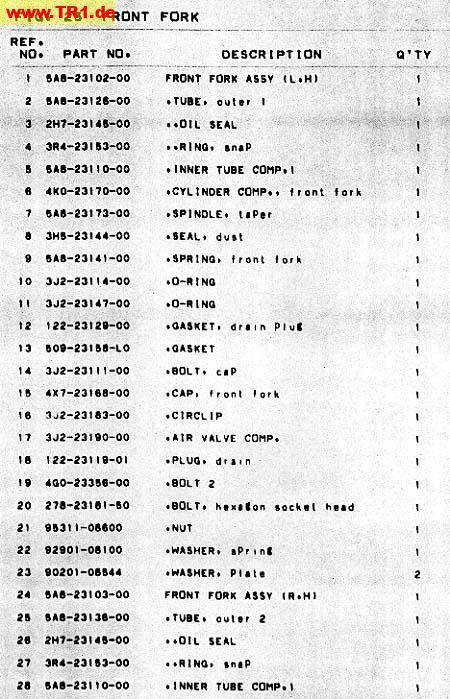 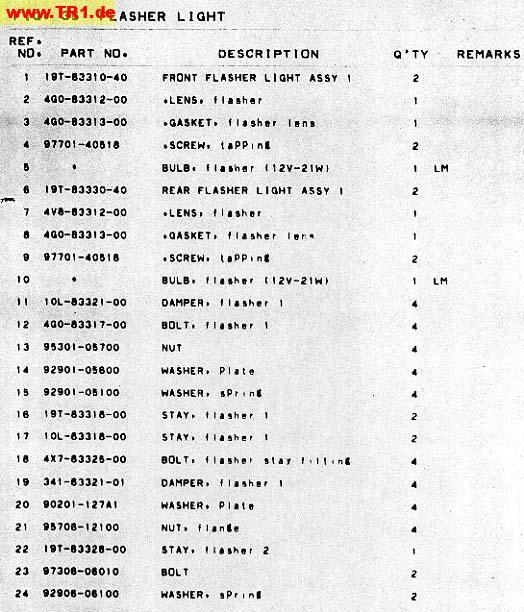 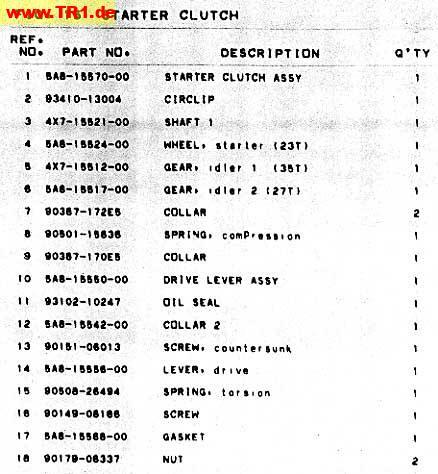 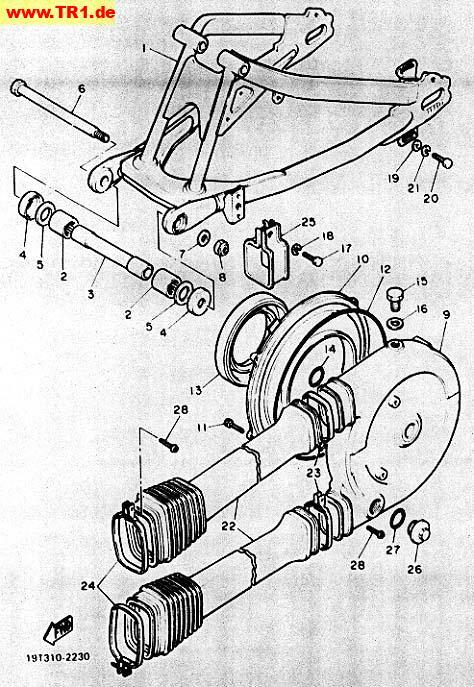 You might need to click on the "Proceed to Parts Catalog" button! 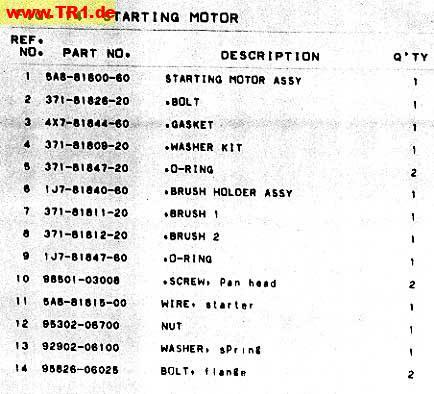 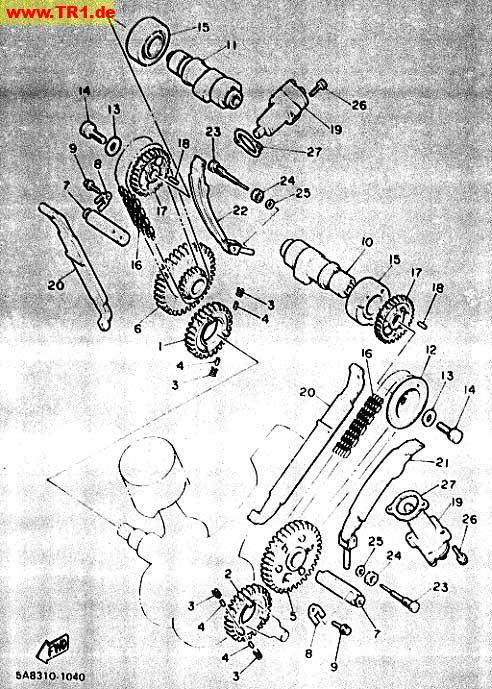 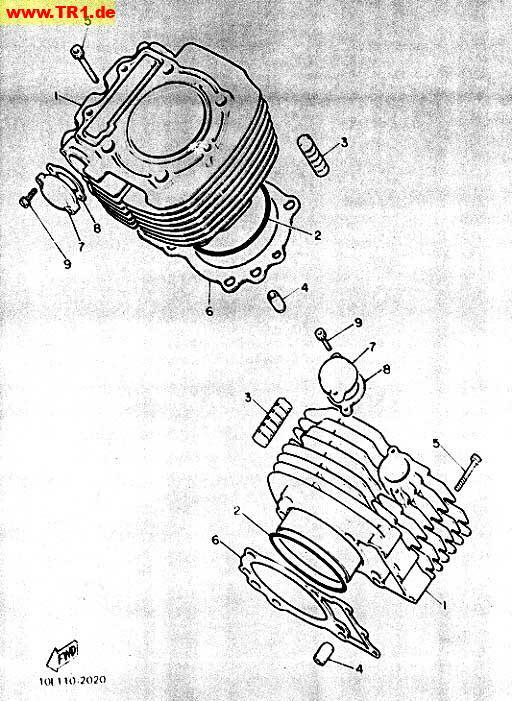 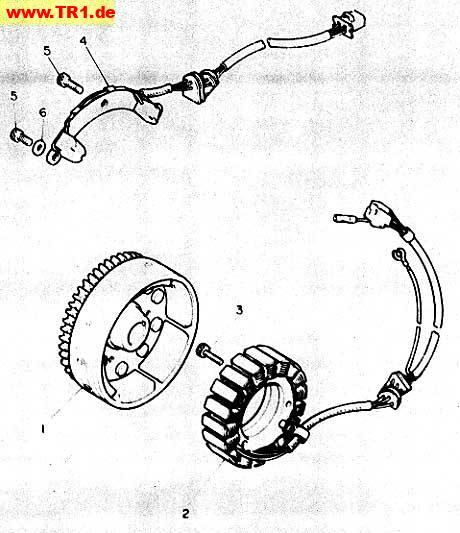 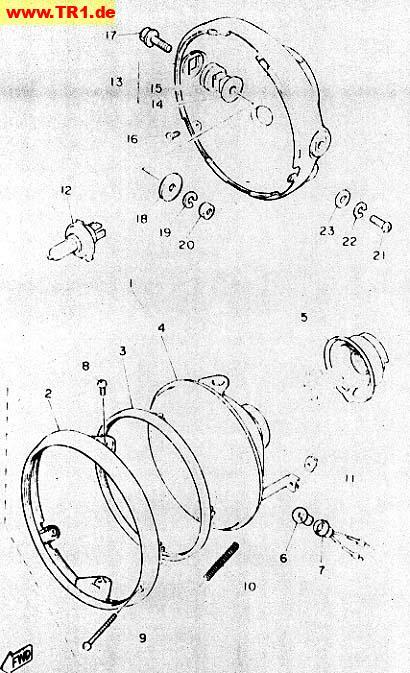 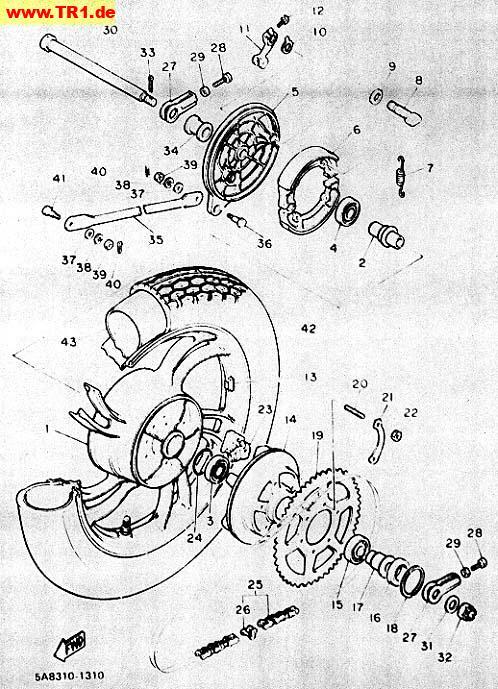 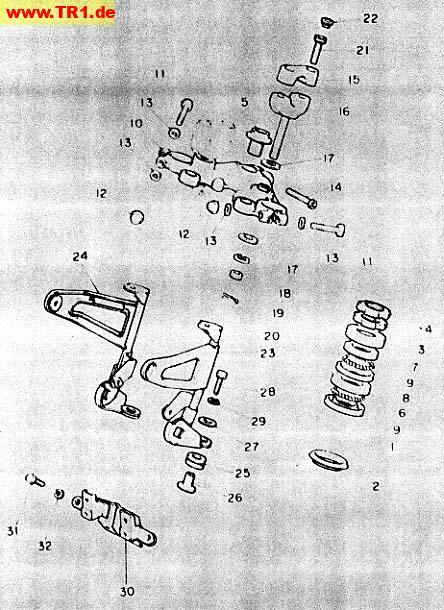 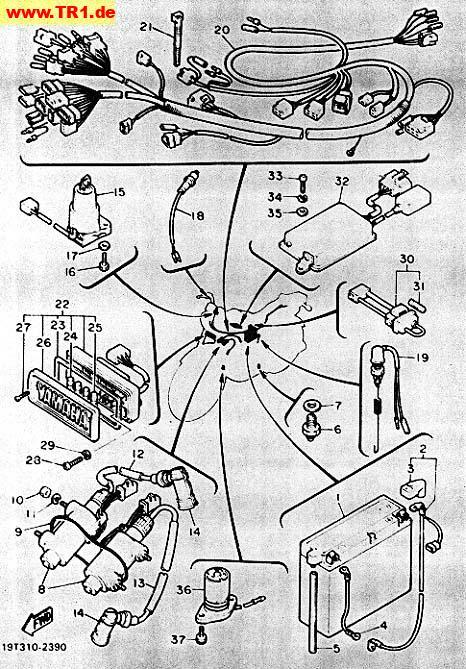 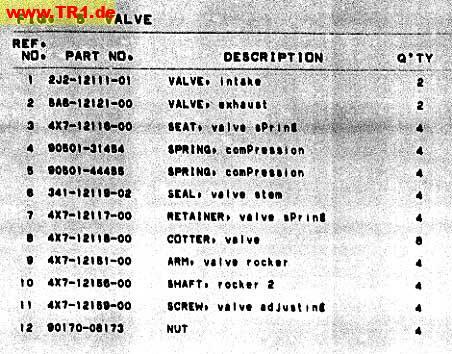 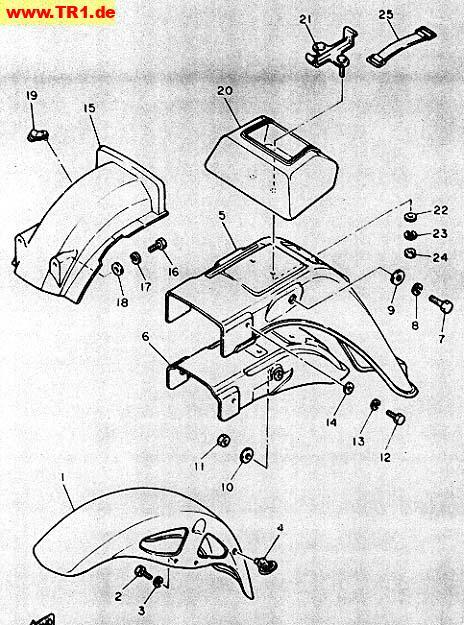 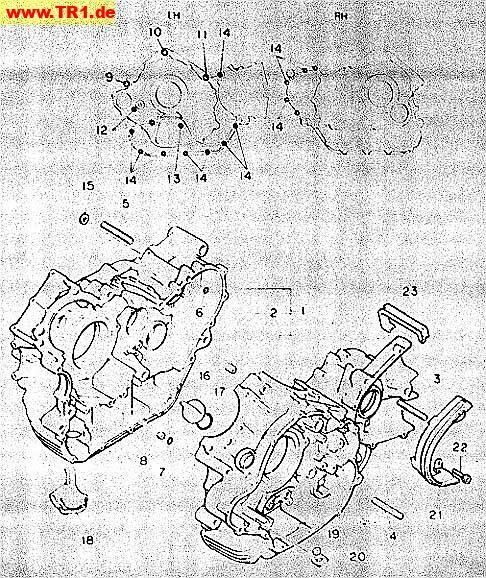 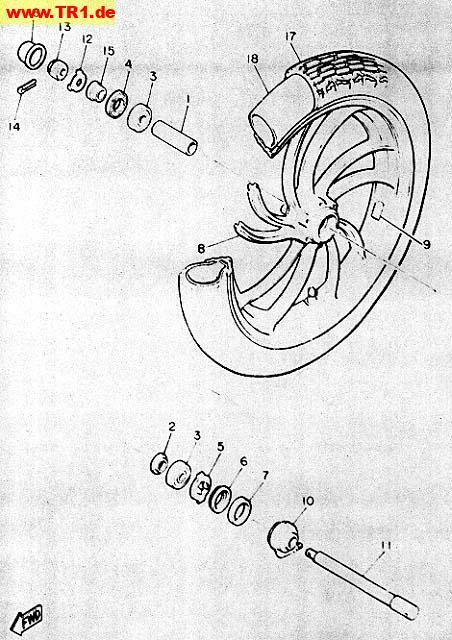 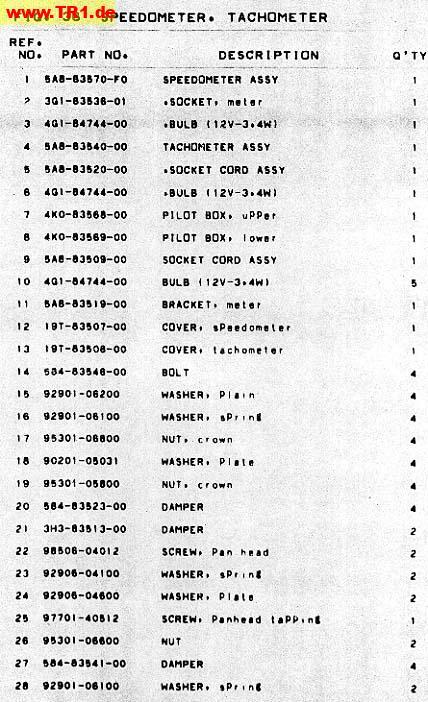 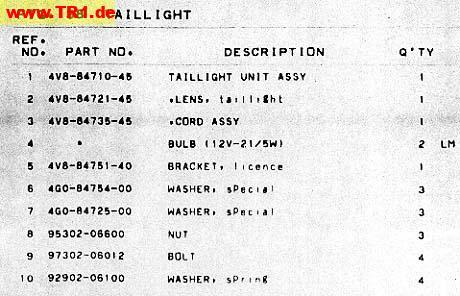 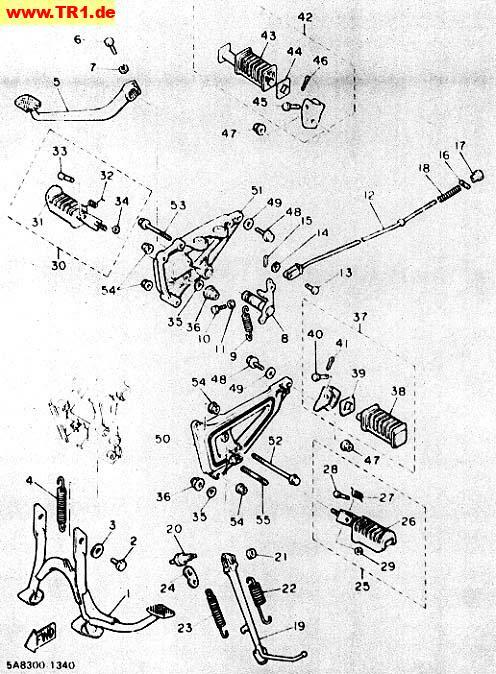 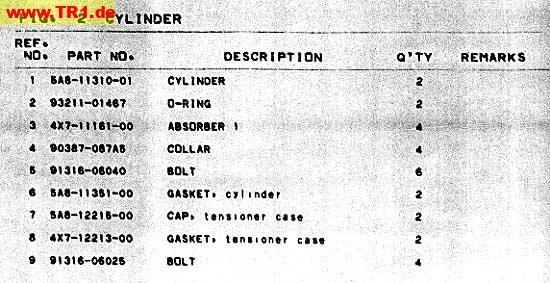 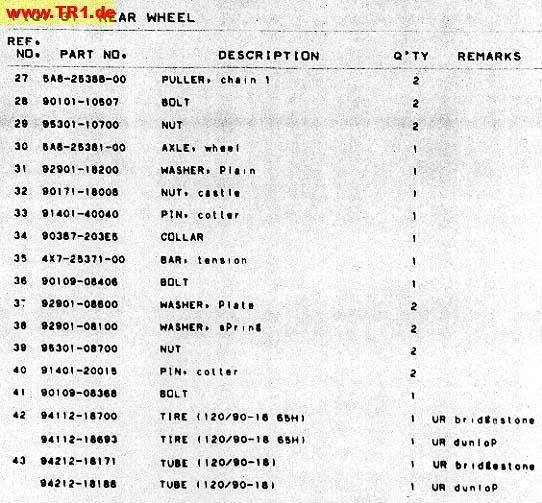 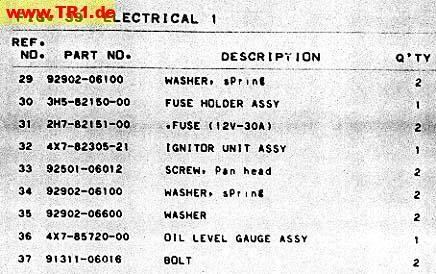 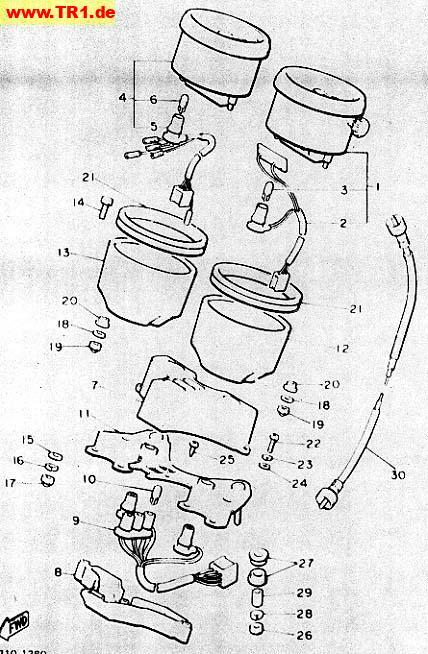 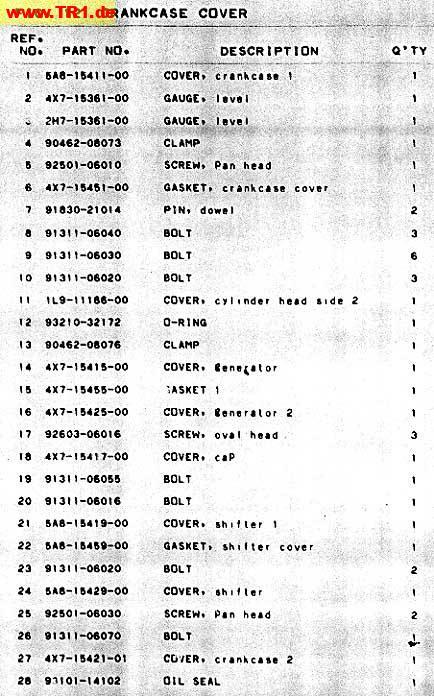 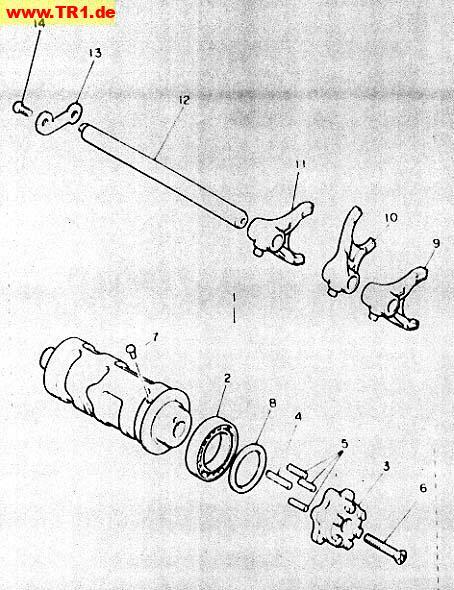 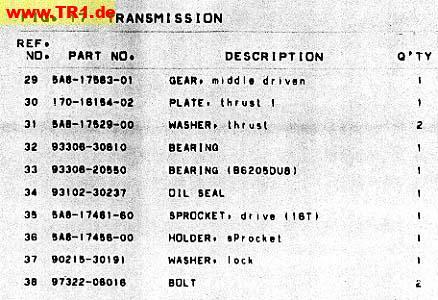 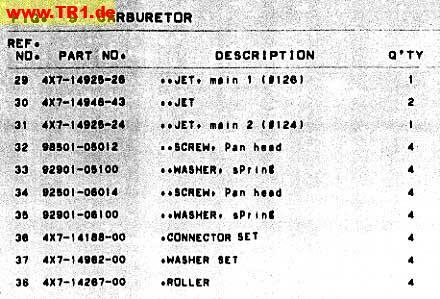 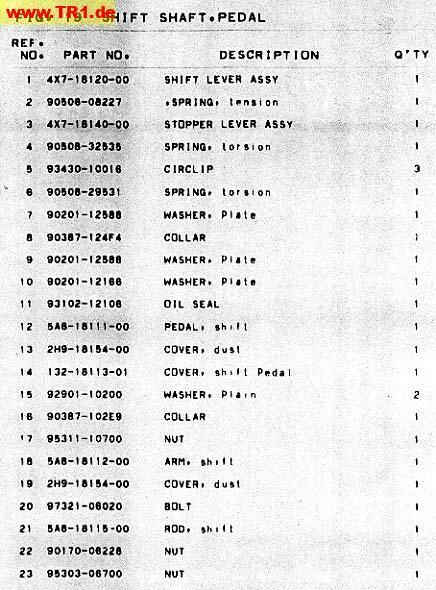 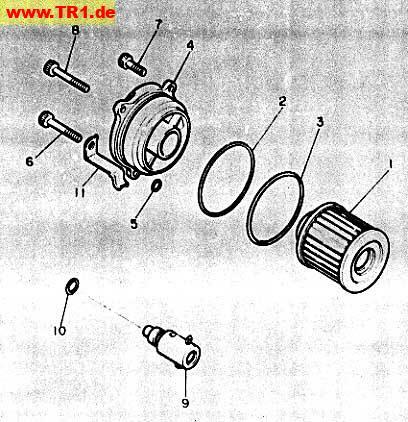 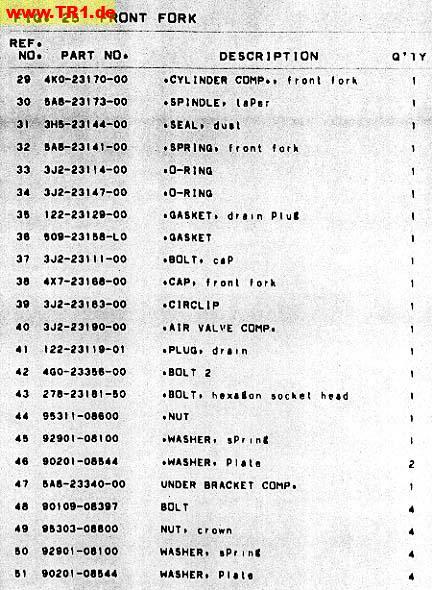 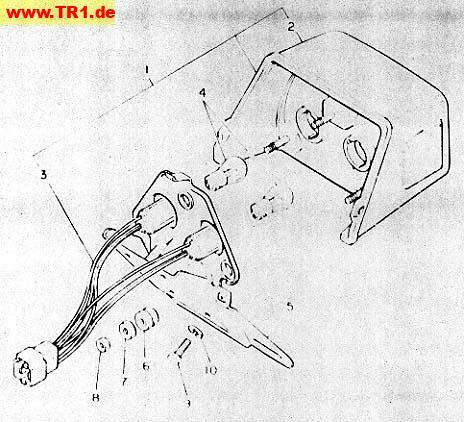 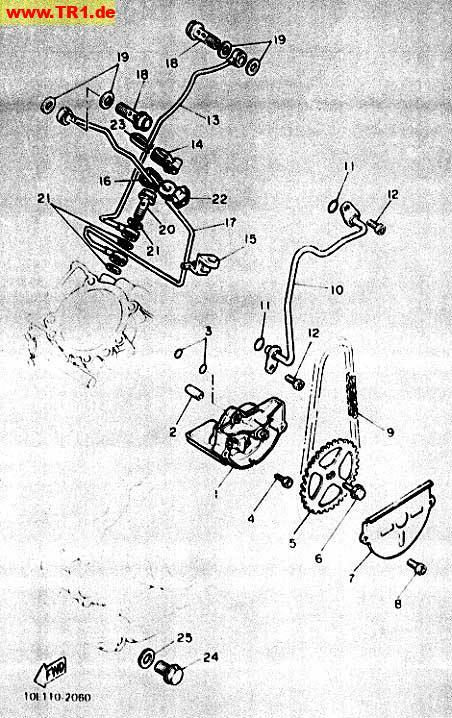 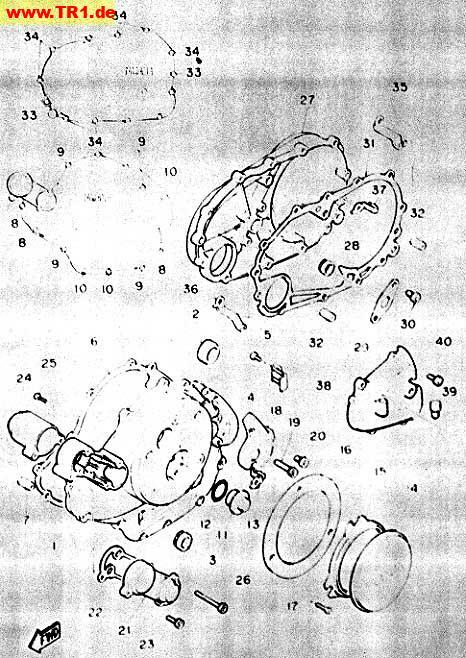 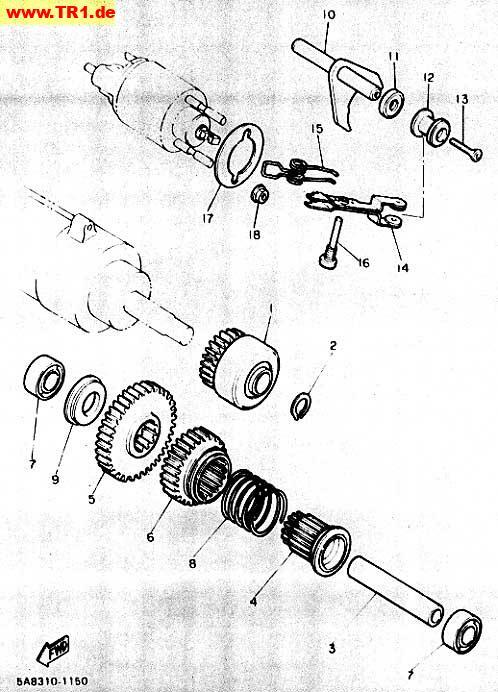 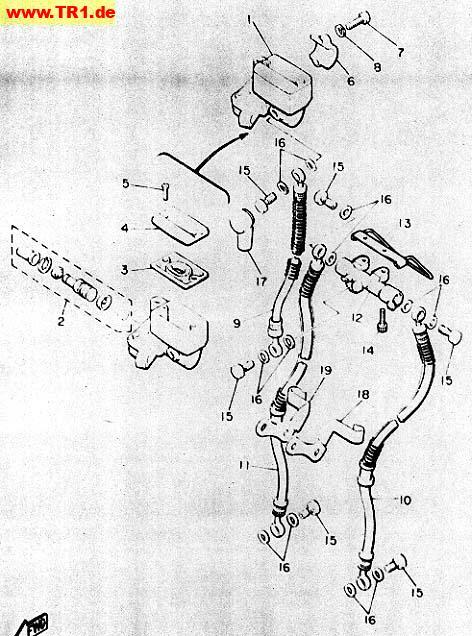 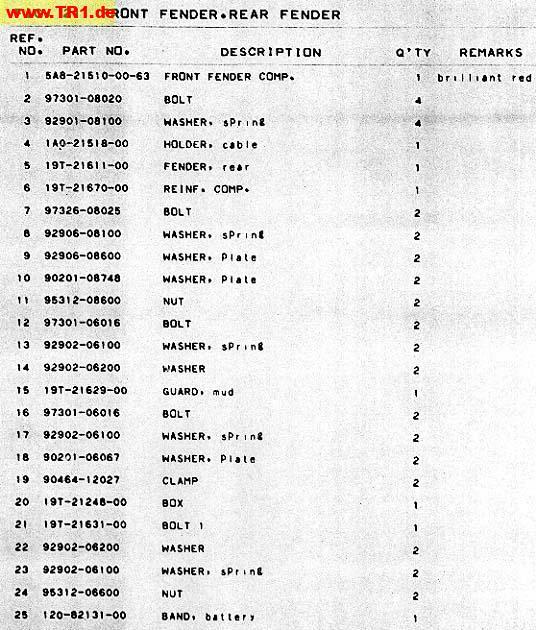 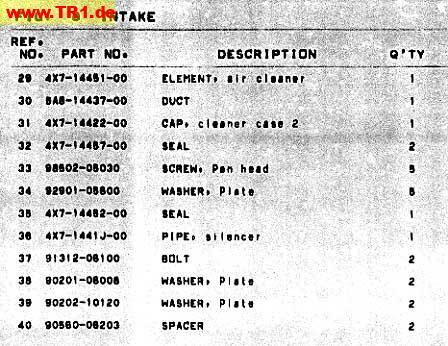 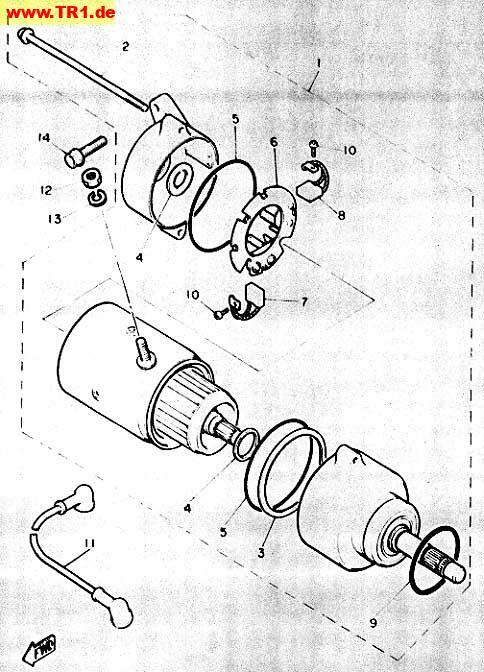 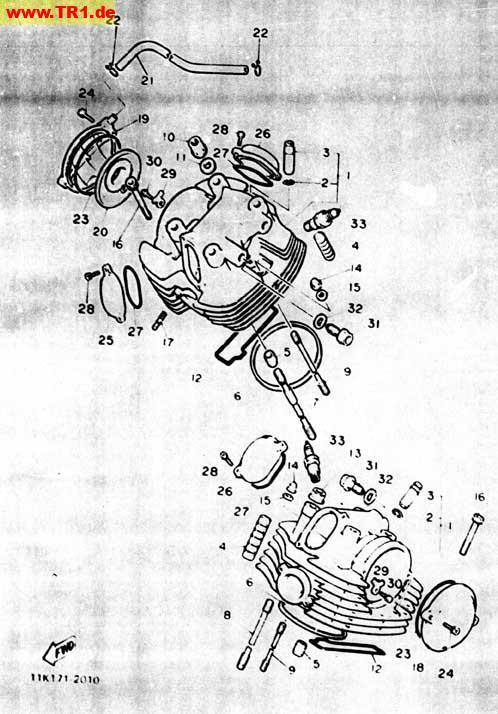 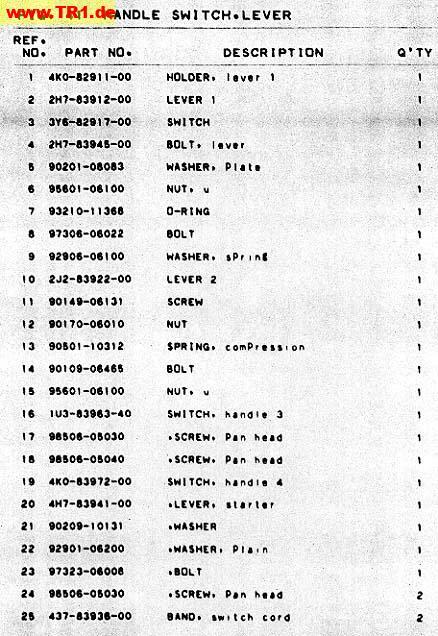 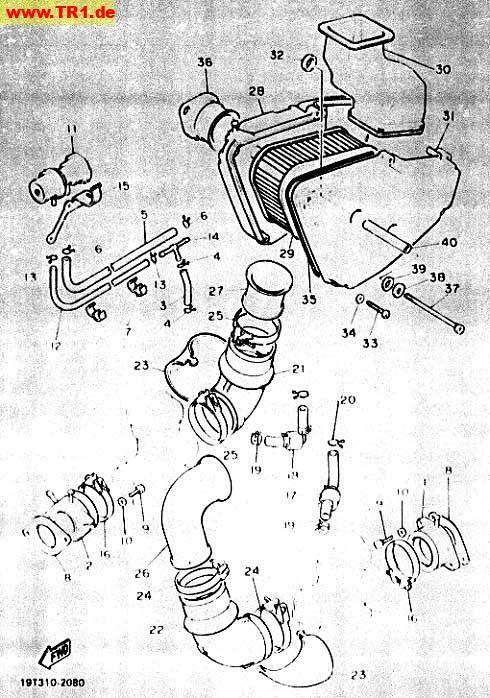 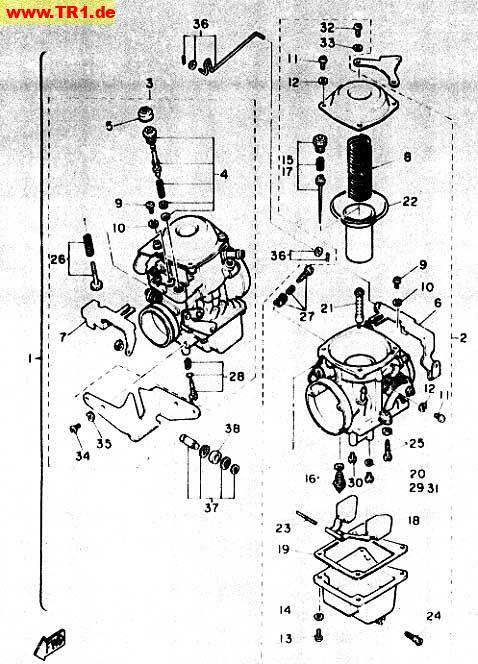 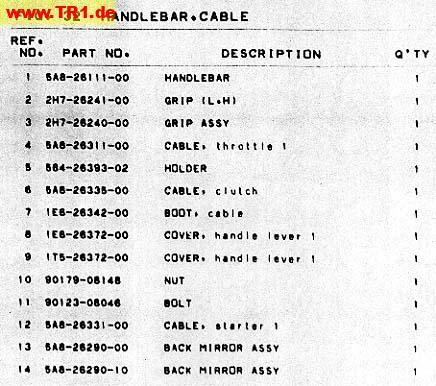 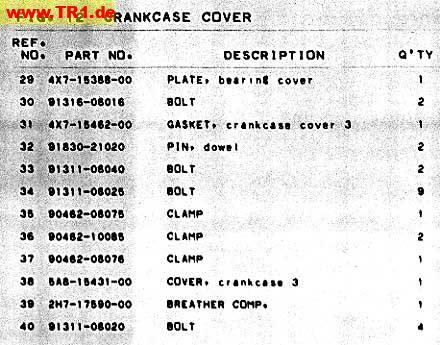 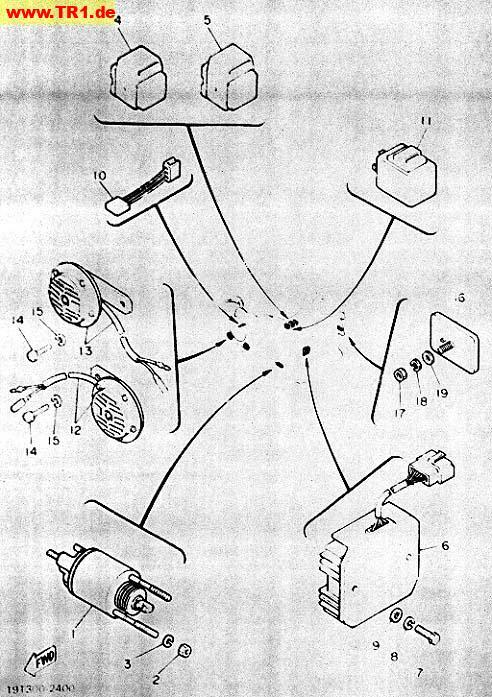 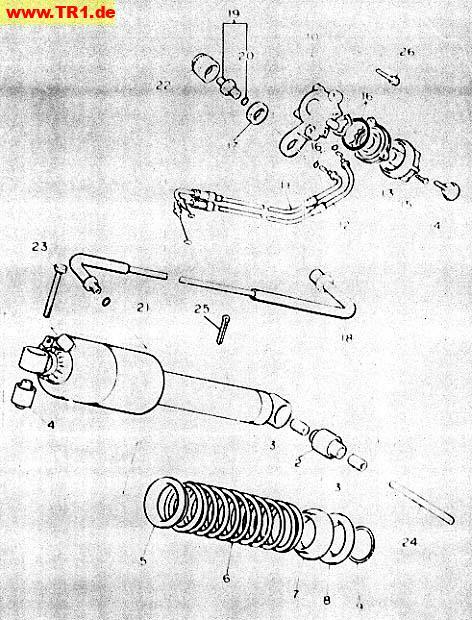 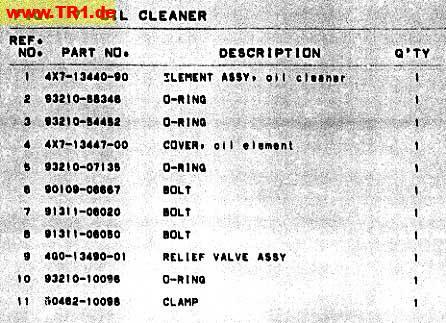 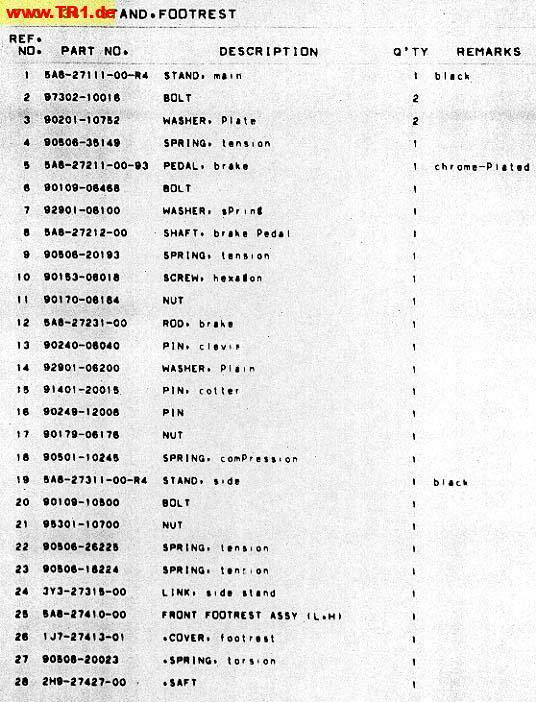 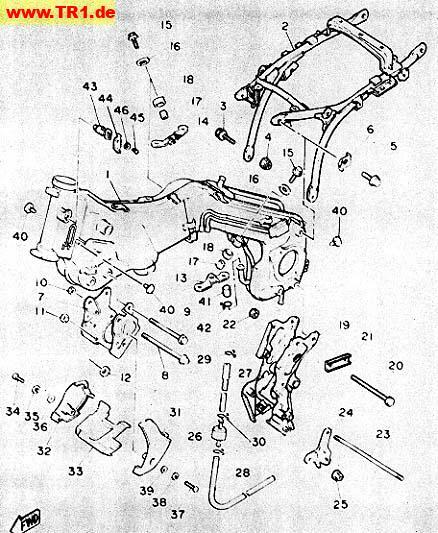 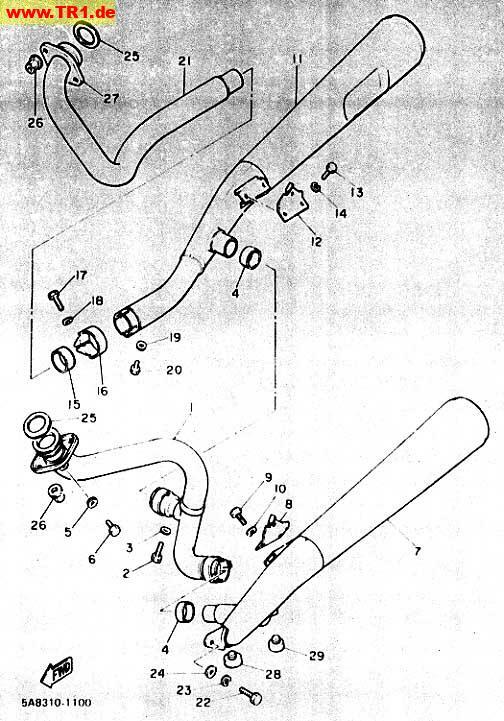 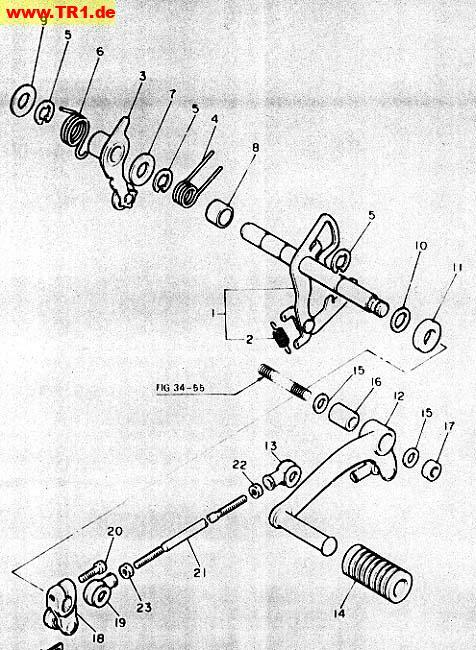 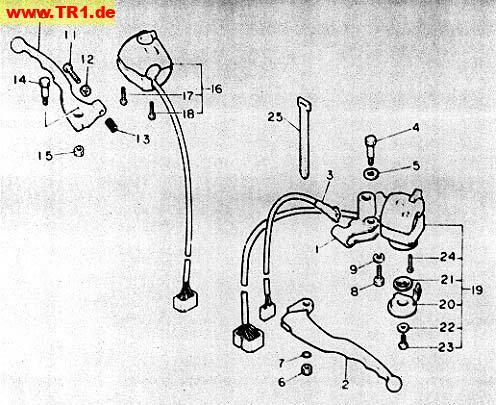 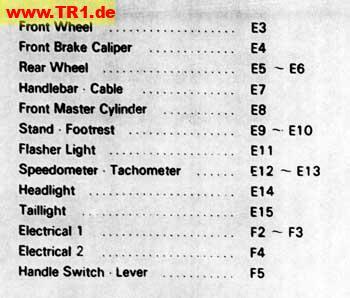 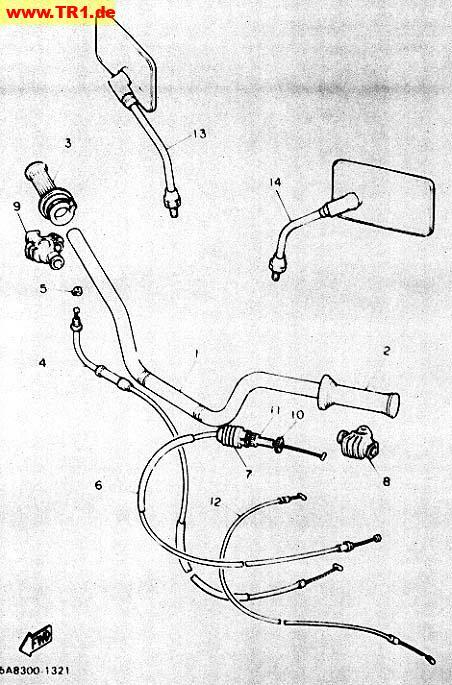 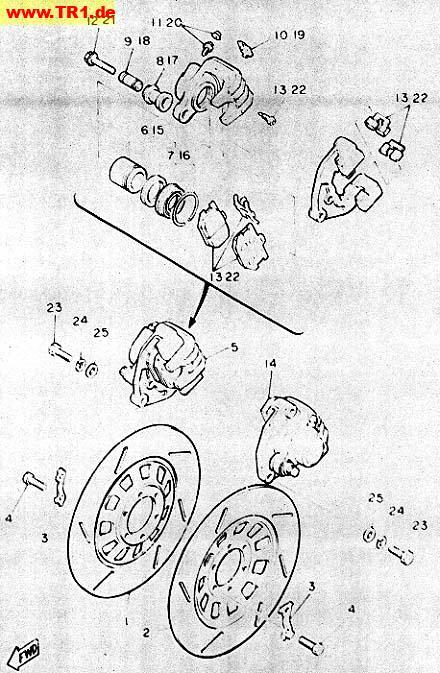 You can also download a PDF file of the TR1 parts catalog for the XV1000'82 (19T/Europe) in English , the XV1000'81 (5A8/France) in French , the XV750'96 (4PW3/Europe, 4GK4/Switzerland & Austria) in English or the XV1100'91 (3LP2/Europe, 3EG4/Oceania) in English.